We’re talking camel milk, green ice cream and twenty dollar smoothies with the CEO of our favorite crunchy luxe grocery store, Erewhon Market. Just one lap around this sustainable and super-natural supermarket always gets us excited – and over-budget. 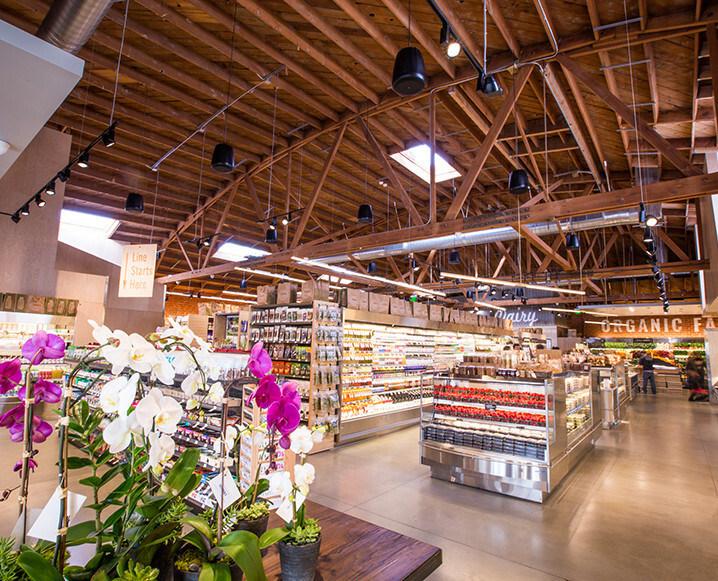 Trend that’s gone for good: Trusting conventional grocers. Trend that never goes out of style: Feeling good and having boundless energy! Strangest product you stock: Camel Milk. Strange, but extremely beneficial. Deer antler and beef liver capsules are cool too. Editor’s note: when responsibly sourced, deer antler is never harmful to the animal. fave products: New Earth 13 Strand Coconut Yogurt, Thorne Research Meriva-SR, Lotus Blooming Herbs Shilajit, Ojai Energetics CBD oils and our amazing all-organic produce department. Most popular smoothie bar order: The one and only “Superfood Green Goddess” with coconut, herbs and greens – ice cream style or as a smoothie! Most elaborate smoothie bar order: The $30 Jing City Tonic. This is the starting price, I have seen $100 tonics. Our barista, Truth (yes, that’s his name), created the $30 Jing City six years ago. Truth was famous for making probiotic, power-packed ice creams that reached the $70 to $80 range! Share the post "Crunchy Luxe: 5 Top Wellness Trends From Inside Erewhon Market"
Camel milk? How sad that another infant animal won’t get the mothers milk that nature created for it. Agree! I would think that a health and wellness oriented grocery store would do away with any and all animal milks. This is disappointing. It’s 2016 and time to wake up to the fact that we don’t need animal products, plant based milks are better for us and the animals. I agree! Very sad and extremely disappointing. We are equipped with the science showing plant based sources to be better for our health and so I wish we could stop sensationalizing the exploitation of animals for unnecessary means. Why must we try to start a trend promoting camel milk and deer antler? The greater the demand for animal products, the more cruel the practice becomes. Yikes, reply to…”time to wake up…” the wake up call is: being aware there is no such thing ever, anywhere of a vegan or vegetarian ecosystem, so please, yes, wake up…and assist in the elimination of cruel animal factories, but, please do not address meat eaters and milk drinkers as if you are awake. We, too, have our own wisdom and understanding of what a regenertative world is that works for everyone, and the baby animals, as well. Cheers. Yet another ridiculous article that makes me question the sanity of some people….camel milk ? I’ll bet that the carbon footprint of many of their so called Superfood items is heavy on our planet. Not an insightful article at all. I agree… how sad for the baby and mother Camels. Humans don’t need Camel milk!